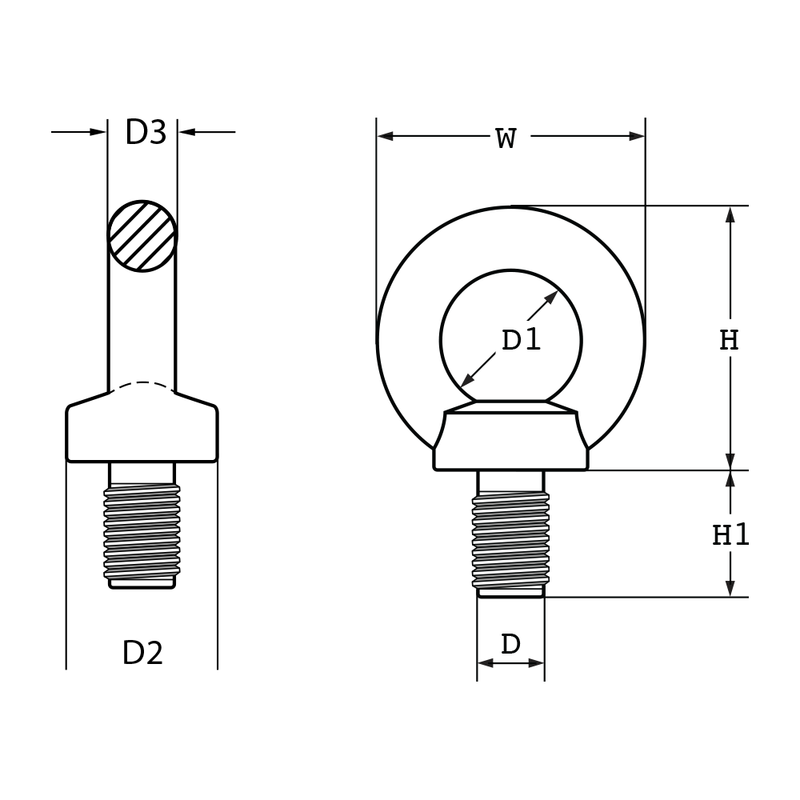 Eye Bolts DIN580 and Eye Nut DIN 582 are generally used as a removable lifting point where a rated female thread or nut can be utilized also can be used as a termination for Chain, Wire Rope and other assembles where required. • Made from C15 carbon steel with zinc plated finish, manufactured with a standard larger eye. Only available in metric thread sizes. • Conforms to DIN580 and DIN 582 marked with working load limit in tonne, nominal size in millimetre, quality grade, batch numbered and supplier identification.Proof tested to 2 x Working load limit and Minimum breaking force of 6 x Work load limit.Test Certificate are upon request.